Every American needs a RushCard — or Green Dot. That’s the mantra of RushCard founder and business mogul Russell Simmons, who together with Green Dot Corporation President Steven Streit, explained the intricacies of their new partnership in an interview with the NNPA Newswire. Simmons and Streit said Green Dot Corporation has agreed to purchase UniRush, LLC, the parent company of the RushCard prepaid debit card. The deal is worth about $167 million and will merge Green Dot’s 4.5 million cardholders with RushCard’s 750,000 account holders. Simmons, long a champion for the underbanked and unbanked, will remain with the company and continue to play a significant role in guiding the union in its mission to create more banking opportunities for all Americans. Among those resources are the formation of the nation’s largest mobile, online and direct mail “direct-to-consumer” providers of bank accounts, debit cards and other financial services. Of course, Green Dot’s acquisition of the RushCard enhances the company’s prospects among the tech-savvy, urban and millennial consumer segments of the financial services market where RushCard has traditionally excelled. Viewed by many as both a pioneer in the financial services industry and as a passionate advocate for the unbanked and underserved communities, Streit said his mission continues to be to financially educate low-income families and to serve their needs. “If I had my way, young people, especially from low-income families, would always talk about money and learn how to manage money,” Streit said. The deal is one Simmons called “a no-brainer” and one that will greatly benefit his already large customer base. The two CEOs said while they’ve long been competitors, they’ve also been admirers. When Simmons didn’t shy away from a storm of bad publicity and personal criticism for a glitch in the RushCard two years ago, Streit said he was impressed with how the Def Jam founder responded. Simmons helped to create a multi-million-dollar fund to help cover the costs that customers had while their cards were beset by technical problems. In some instances, Simmons sent money to customers to help pay their rent, car loans and other payments. Green Dot also encountered problems of its own last year when a glitch stopped many of its customers from accessing their accounts, making purchases and withdrawing cash. 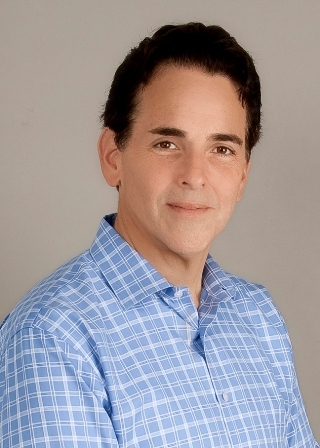 With Streit’s guidance, the company was also able to overcome those issues. Together, Green Dot and RushCard are two of the oldest prepaid debit cards in the marketplace. Simmons’ RushCard popularized prepaid cards, while Green Dot pioneered the reloadable prepaid card and is the largest provider in the U.S., according to Forbes Magazine. Recognized with numerous industry awards including a two-time winner of Ernst & Young Entrepreneur of the Year, Streit has heavily been involved in philanthropic efforts, founding Patti’s Way, a 501(c)(3) charitable foundation providing grants to single mothers and their children. Streit also has mentored children in foster care in Los Angeles and has been a benefactor to the Los Angeles Police Department’s Hollenbeck Police Athletic League. Streit said Simmons’ voice and creative spirit and love for the community at-large were important factors in doing a deal of this magnitude. “I don’t like when big companies buy companies and homogenize it. I wanted to make sure we kept the flavor and kept Russell’s energy, love and passion,” Streit said. In the end, the pair each said the deal was easy. The deal, expected to close before the end of the first quarter, enhances Green Dot’s shareholder value and materially expands the company’s scale, Streit said. As he’s done with ventures in music, comedy and fashion, Simmons said he’s partnering with the best company in the industry, Green Dot, to expand opportunities and continue RushCard’s mission to revolutionize the banking industry. 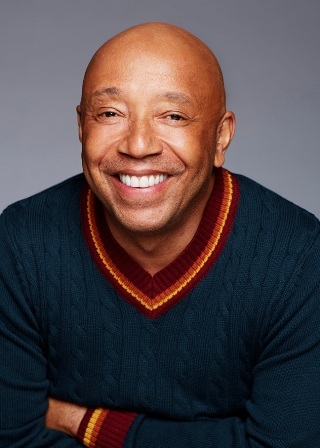 Dr. Benjamin F. Chavis, Jr., the president and CEO of the National Newspaper Publishers Association said that Russell Simmons continues to advance the economic development interests of the African American community, as well as all marginalized communities across the United States. “The NNPA, in particular, recognizes this acquisition with serious anticipation toward helping to further fulfill the inclusive goal of economic justice and equality for all,” Chavis said.